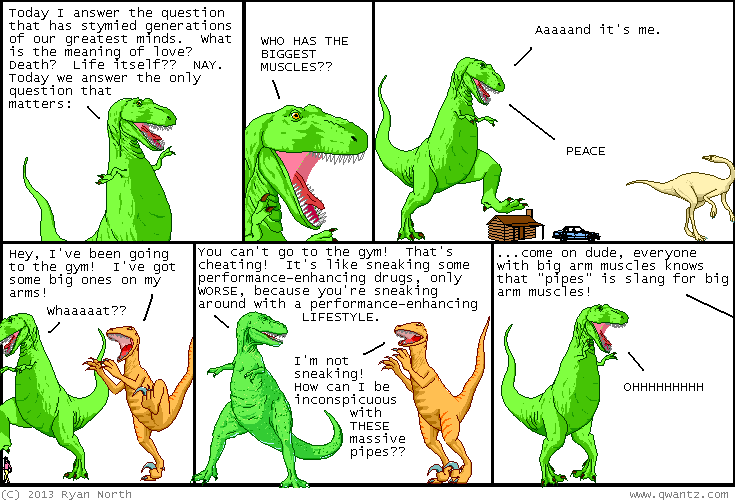 Dinosaur Comics - November 5th, 2013 - awesome fun times! –Should I do something just because it might be AWESOME? One year ago today: It was the best of times, it was the worst of times, hotties are coming up, it was the age of wisdom, it was the age of foolishness, there will be some babes soon, it was the epoch of belief, it's going to be so great to imagine what these sweet bods look like, it was the epoch of incredulity, &c.